La Villa is been proud to have been a member of the Further Afield collection since its launch in 2009, the year we opened our doors as well. Come take a look at the wonderful places to stay from London to Lisbon. 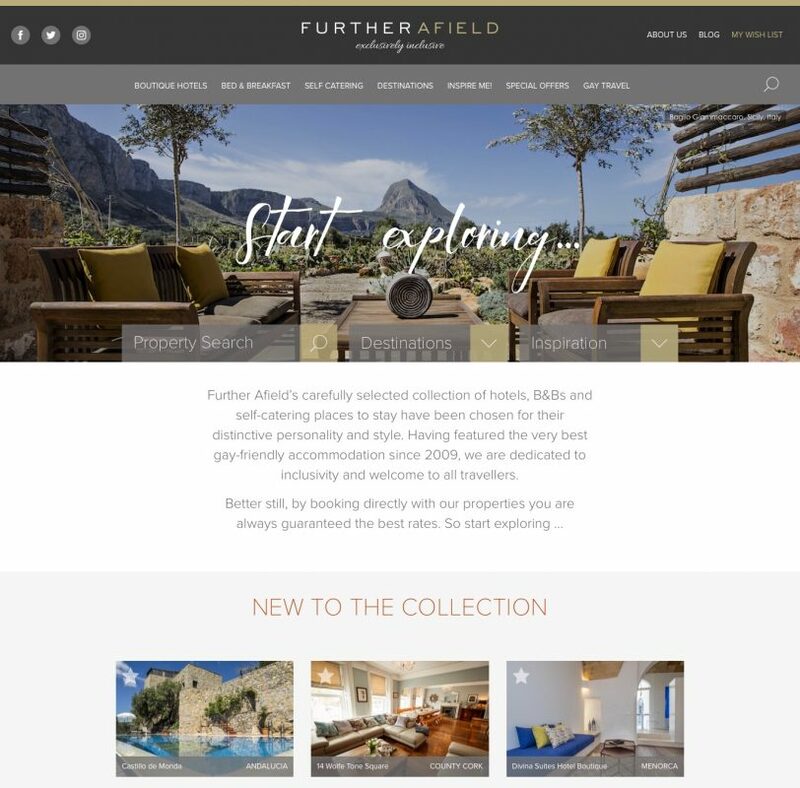 Further Afield is a stunning collection of Boutique Hotels, B&Bs and self-catering properties, primarily across Europe, which work to the same ethos of being “Exclusively Inclusive”. It’s our go-to guide for our own travels with both like-minded owners offering a gay-friendly welcome and individual, privately-owned, properties. The website is easy to navigate too. Select a destination you would like to visit and then scroll through the lovely properties available… or use the map function to see other properties that might tick all your boxes for that perfect break. You also don’t pay (nor does the property incur) any commission. The website is purely a curated collection of beautiful places to stay, where you can make a direct inquiry or click through to the respective website. So when you are looking for places that offer a similar high quality of accommodation & service as La Villa, do as we do & make Further Afield your first port of call.